A wide variety of cultural and tourism attractive activities will be held nationwide during the summer in response to the 2019 National Tourism Year. 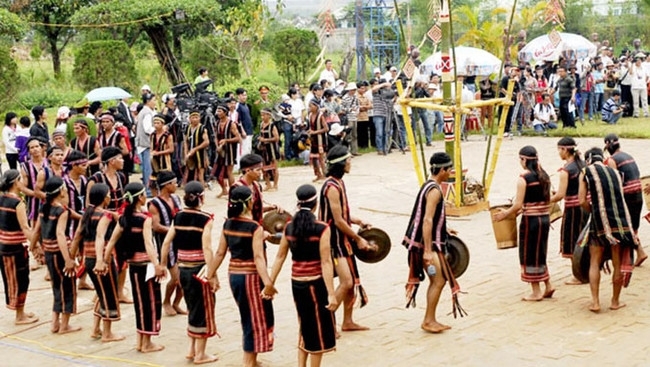 The Central Highland province of Gia Lai has introduced events on April 30 and May 1, including traditional rituals, gong performances, folk games and culinary festivals of locals at Plei Oi cultural and historical relic site in Ayun Ha commune, Rbai village in la Piar commune and the lotus lake in la Yeng commune of Phu Thien district. The opening ceremony for the National Tourism Year, themed ‘Nha Trang – the Colour of Sea’, will be held in conjunction with the opening of Nha Trang – Khanh Hoa Sea Festival in early May. Several other provinces and cities around the country have also set plans for numerous special activities such as the Firework Festival in Da Nang city, the Traditional Craft Festival in Hue city, Ha Long – Quang Ninh Tourism Week and the Hoa Phuong Do (red flamboyant) Festival in Hai Phong. The 2019 National Tourism Year will feature hundreds of activities organised by the Ministry of Culture, Sports and Tourism in coordination with central agencies, Khanh Hoa province and 14 other localities. The 2019 Vietnam Miss Universe and Miss ASEAN Tourism competitions, a Sea Tourism Festival themed ‘Symphony of the Sea’ and a Sea Food Festival, as well as the third conference on the development of the central coastal area and a Hong Kong (China) – Nha Trang sailing boat tournament are expected to attract a large number of visitors to the seaside city.